Approximately 6 weeks ago Oculus announced a VR Jam competition for the recently released Gear VR headset. Essentially a mobile version of the same competition that spawned the first incarnation of Private Eye. Initially I thought I shouldn’t be distracted by this and continue my focus on development of the PC version as Private Eye just couldn’t be made for mobile, it demands the power of a PC. However, this constraint generated new ideas for a mobile version to Private Eye. A bite-sized companion piece, using different game mechanics suited to mobile. The story would not directly be related to the PC version but would exist in the same universe and use the same protagonist, albeit a few years earlier. The more I thought about it the more I warmed to the idea. We could work with a clear finish line in sight, produce something that we could release swiftly and see how it faired. Perhaps we could learn some lessons for the full version and perhaps it could prove to be successful in it’s own right. So we took up the challenge of creating a game in 5 weeks. Working with many of the original team alongside some new recruits, we formulated a plan for Private Eye mobile. The core concept was to produce a whodunnit type murder mystery in an isolated setting using environmental storytelling to discover the mythology and answers to the mystery. I have always liked the idea of the player overlooking a mini-set/diorama of a scene, something that contains intricate details that the player needs to look closer into. 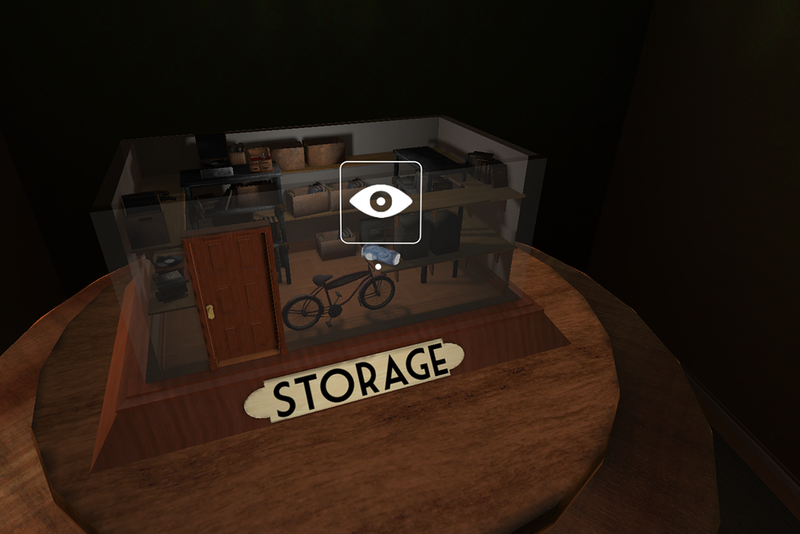 This seemed like a great fit for the game and a solution for the whole VR navigation problem. We could overcome the limitation of mobile performance by isolating objects and environments into their own isolated scenes, using the simplified diorama set to sort of transport you to these different, more detailed portals. It was quite abstract and “game-y”, the kind of thing that we strive desperately to stay clear from in the PC Private Eye (to deliver a more cinematic experience) but we thought this approach suited the mobile version and provides some clear differentials with the PC version. You don’t want to be playing Private Eye-lite. With a clear set of design objectives the central task was to conjure up a story with a healthy amount of mythology for the player to uncover through assets dotted around the environments, It therefore made sense to set a mythology around a single family unit as their belongings and history could all be contained under one roof. We didn’t have long so we had to quickly set out what whodunnit tropes we wanted our story to include – (in no particular order) a mystery spanning many decades, a previously miss-solved case that has to be reopened, multiple character motives, a twisting plot, moral choices and a central “locked-in-a-box” type mystery. We didn’t have much time and it would have been better to have a less pressured situation for this writing process but I think we did a great job in hitting our objectives. However, having a fully fleshed out mythology didn’t end the design phase. We had to turn each of the key timeline events into a physical asset the player could find, gain meaning from, place on the timeline of bigger story and understand the context in which it referred. The fallback could generally be a diary entry, a photograph or a note but we strived to be as creative, adventurous and idiosyncratic as possible, as long as the meaning wasn’t lost. Again, we had precious little time but did an incredible job of turning 4 pages of mythology into 200+ assets in less than 2 days. Exhausting? Yes. So we now had a game on paper. Still very much incomplete, still making amendments and changes, still adding/removing assets everyday but we had something we could begin developing towards. I booked time off work, loaded up on red bull and began furiously tapping away. It soon became apparent that the real work wasn’t in the actual coding of the game, but in the setting up of each scene, perfecting the atmosphere, the placement of assets and the way in which the story unfolds. When the game contains 30+ rooms and 200+ key assets this turns into a time consuming process, and when under such restrictive time constraints, rushed and inattentive. The result is a submitted APK that doesn’t quite fulfil the vision. As a team, we can only feel proud, the amount that was accomplished in such a small amount of time was really remarkable. Looking back, I wish I took the decision to tell only one-eighth of the story, explore one-eighth of the rooms and inspect one-eighth of the assets. This would have given us far more time to perfect a 20 minute experience than rush a 90 minute one. For some reason, I placed an unnecessary demand on the game that it had to tell a full, complete story – beginning to end. I have no idea why! 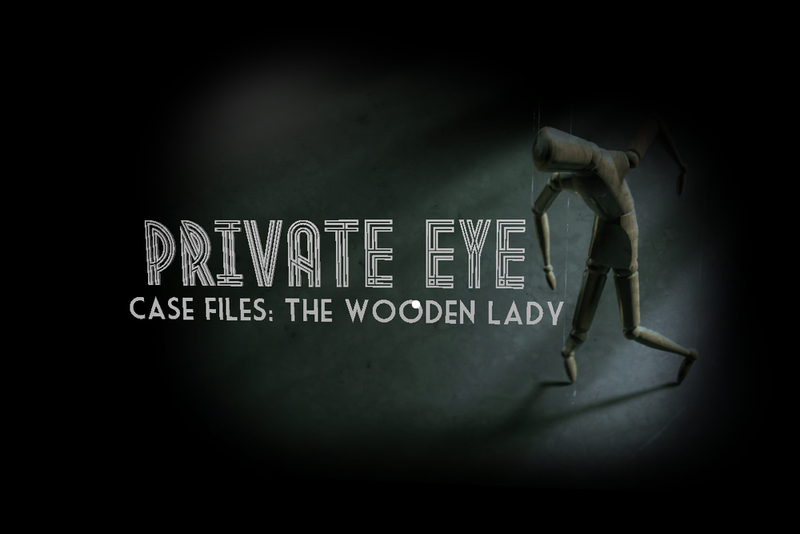 Right now my body is in desperate need of a little break (consisting of mostly sleeping and drinking) but I hope in a months time I will be shouting and raving about Private Eye’s first official release and how you should head to the Oculus Store and download it!